The Green Dragon is a rural village pub located in the centre of Bishop's Frome on the Worcestershire/Herefordshire border. The nearest towns are Bromyard and Ledbury with Hereford being 13 miles away. Bishop's Frome has a population of approx. 900 and is an active village with a Village Hall, small community shop, private garage (which still sells fuel), church and two pubs, the Green Dragon and the Chase. There is a bus stop in the village from which a public bus runs to all the nearest towns and cities. Bishop's Frome is very much a traditional, rural village in an area where much of the agricultural land is given over to either cider apple orchards or the growing of seasonal fruit and vegetables on a large scale. 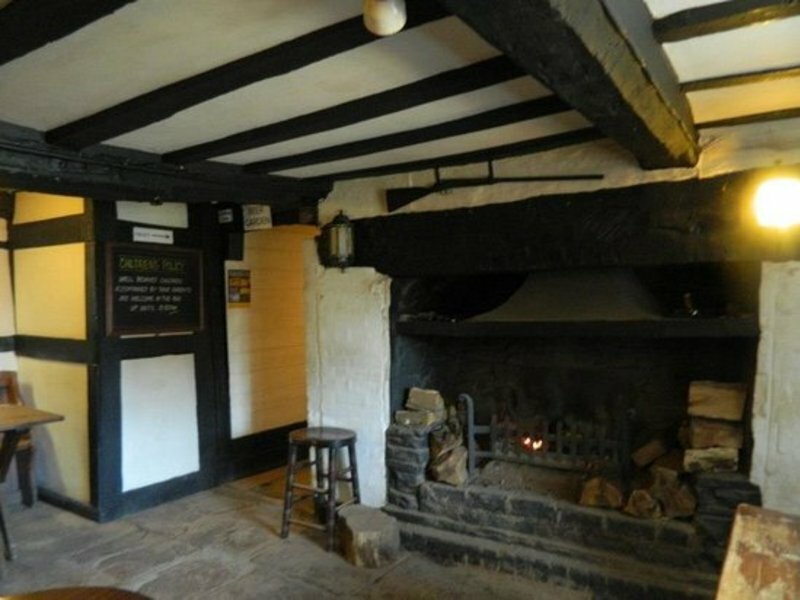 The Green Dragon is a 17th Century Inn which has kept all its traditional features - flagstone floor, beams and a huge open fire in the main bar. There are two main bars, a dining room, snug, patioed beer garden, large private car park and roadside parking outside the pub. There is capacity in the pub for 60 covers. The pub is located opposite some modern houses on a side road just off the centre of the village green. There is a planned gradual refurbishment during 2019 of the main toilets, dining room, and snug. The two main bars will remain untouched. The customers of the Green Dragon are mainly local or from within a 10-mile radius. Core male farm/agricultural or associated workers. The regulars are very loyal to the pub, and they help to create a great atmosphere. Green Dragon is very much a "local" pub. 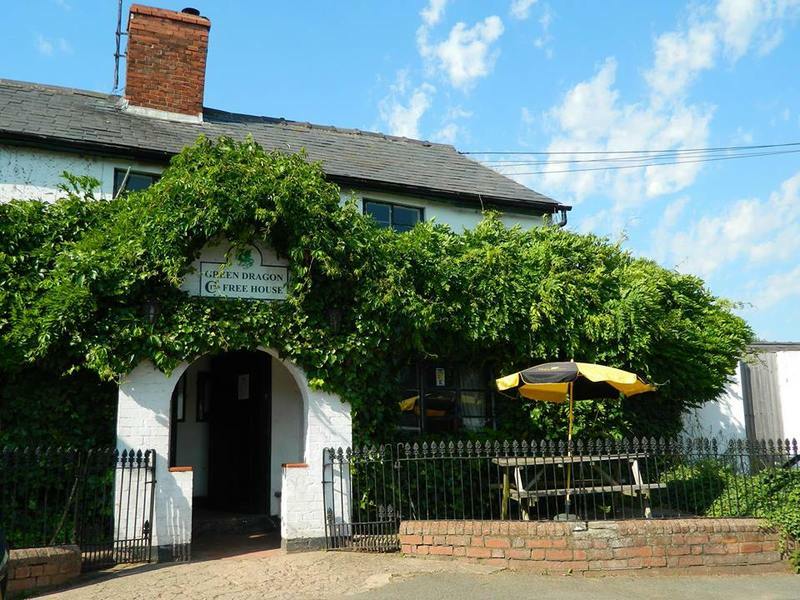 With happy staff and the current tenants only leaving to raise their young family the Green Dragon has a warm, happy and welcoming atmosphere. As a current entry in The CAMRA Good Pub Guide 2019 the pub has won CAMRA cider pub of the year 2015 & 2017 and CAMRA pub of the season Spring 2014 and finalist pub of the year 2014. The Green Dragon is currently a wet-led site, and the sales of real ale and cider are excellent. On the bar Timothy Taylor's Golden Best, Purple Moose Snowdonia Ale, Tiny Rebel, Wye Valley Bitter and two guest ales, including Hop Shed which is brewed 10 minutes up the road. 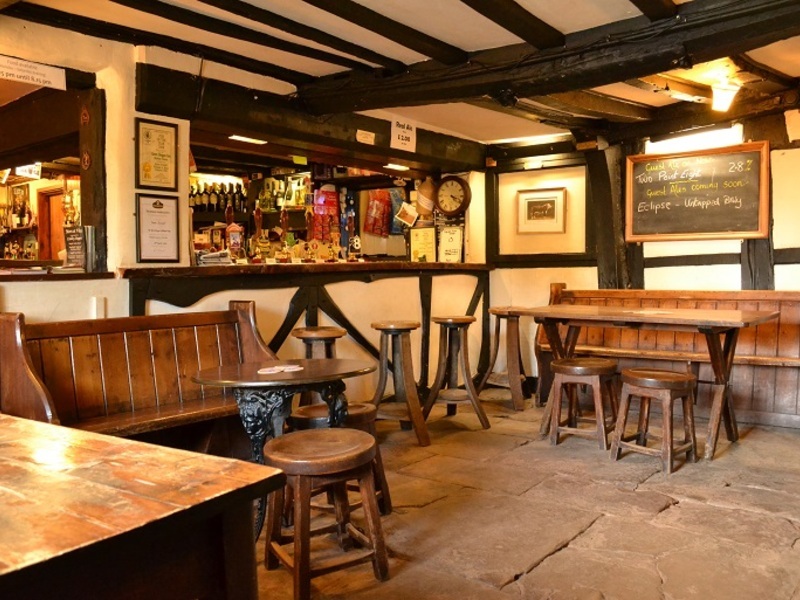 The Green Dragon sells 17 ciders, all of which are brewed locally in Herefordshire. Dry trade mainly comes from local shoot lunches and dinners. The Green Dragon offers a great opportunity to raise the level of food offer to attract more customers from the surrounding area. The owner doesn't want the pub to become a "gastro-pub" but would like the new tenant to provide good quality, simple and varied pub food - a menu and plates of food that diners would recommend to others. They will be initially involved in helping to create a new menu with the new tenant. CRB check will be required and paid for by the owner. Food hygiene qualifications will be required to effectively run an enhanced food offer. The accommodation is above the pub and consists of six bedrooms, one of which is en-suite, and one has a walk-in wardrobe. Also, there is a large sitting room and a large bathroom.